In December 1972, three days before New Year, Eastern Airlines flight 401 from New York crashed on approach to Miami when the pilot and crew, all focusing on a malfunctioning landing light, failed to register the plane was losing altitude. In 2007 a truck and train collided on a rail crossing in Kerang, Australia, when the truck driver failed to notice the approaching train. In 2010 the crew of BP's Deepwater Horizon drilling rig in the Gulf of Mexico seemed unaware of the scale of the problem until the rig exploded. Although each case is unique, the same phrases appear: "Failed to notice", "unaware of", "lack of awareness". These all point to a lapse in "situation awareness" – an important factor in the run up to each incident. But what exactly is situation awareness, what can lead to a lapse and how can you improve and develop your own sense of it? Psychologist Mica Endsley developed a model of situation awareness with three main aspects: perception, comprehension and anticipation. In essence, situation awareness is your mental picture of what is going on around you. It involves picking up information and cues from the environment, putting those pieces of information together so you can develop a good idea of what is going on, and then using it to predict what might happen next. 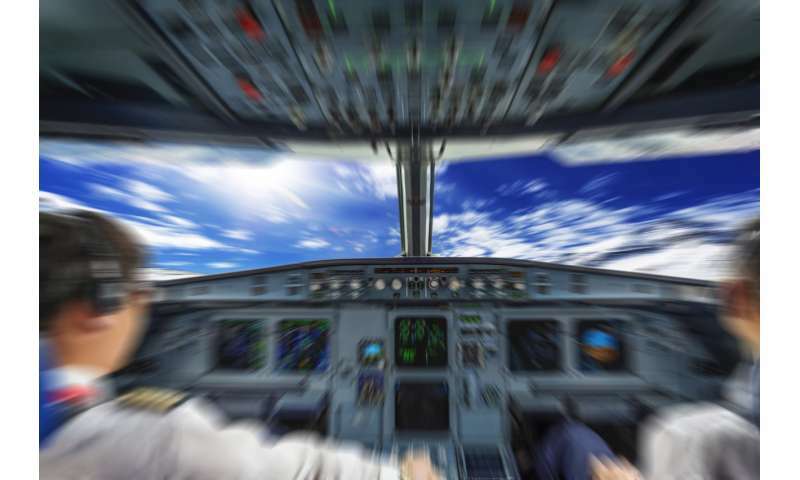 In the US, examination of aviation accidents indicates that about 80% are linked to human error. These can be caused by a variety of reasons, including complex working environments, illness and lapses in situation awareness caused by spatial disorientation or failure to read a situation correctly, for example. Situation awareness is important no matter what your job or role is; everyone from astronauts to farmers need to be vigilant to remain safe at work. Situation awareness is also vital in emergencies, as was recently highlighted by the Oregon, Ohio, police department, following the Nashville waffle house shooting in April 2018 that left four people dead. They now advise that if faced with a gunman, it's important to know your surroundings, spot places to hide and identify objects you could use to defend yourself. Most of us feel that if we are alert and observant, we will see everything there is to see, but this is not always the case. "Inattentional blindness" is when we don't spot something that is in plain sight, especially if we are focusing on a particular task. This is more of a problem for novices than experts; our research with farmers suggests that situation awareness improves with experience, because increased familiarity with a task can lead to a broader focus of attention. Being distracted can also interfere with reading a situation, particularly if the distraction is something that makes us anxious or upset. It's why the Federal Aviation Authority enacted the "sterile cockpit rule" which prohibits non-essential activities (such as chatting) when flying at less than 10,000 feet. Research indicates that situation awareness can be compromised when a person is tired. Government safety campaigns such as Tiredness Kills have particularly targeted driver fatigue, urging motorists to take a break if feeling sleepy. Situation awareness can be also affected by a sudden shocking event, such as an explosion, which can prompt a "startle response". This produces an automatic fear reaction, which although generally short-lived (30 seconds or less) can throw people into confusion and lead to poor decision-making with disastrous consequences. New technology can help or hinder our awareness, with research suggesting that automation can sometimes compromise our understanding problems. As the human worker becomes more removed from their task, they become an observer rather than an active part of the process. This is an "out of the loop" problem, where operators don't always realise there is an issue until its too late. Similarly, routine or monotonous automated tasks where users become bored increases the risk of reduced awareness because people are operating on "autopilot". Poor workplace design can compromise awareness. If a visual display is confusing or information heavy, it is difficult to get an accurate picture of what is going on. Endsley calls this the "information gap"; essentially we are faced with huge amounts of data in a variety of formats, making it difficult to spot the piece of information we need. A focused display is more useful than a display which attempts to share everything with the user. Organisations need to consider how best to support situation awareness through job and workplace design – things like making sure alarms are obvious, managing workload, reducing monotony, safety training and ensuring that workers have the information they need, when they need it. Practise: training can improve routine performance and help you maintain awareness in an emergency. Minimise distractions: think "sterile cockpit" – nothing must divert your attention. Watch out for fatigue: know the symptoms of tiredness and take a break when you need one. Be active: look for new information, monitor your environment so you can spot problems and react accordingly. Next time you feel yourself losing awareness of a situation, whether it's driving a car, riding a bike or operating machinery, think about these four points. Staying sharp, alert and focused could one day save your life. Its time we had electronic back up to human activities, so that the moment a person looses awareness the computer or robot temporally takes over and reminds the awareness looser.